Suzy Greenberg, Tweezer, Guelah Papyrus, and YEM included Tequila teases. Guelah included a Simpsons signal. YEM also contained Entrance of the Gladiators and Oye Como Va teases and the YEM vocal jam was to the tune of Cocaine and included some Tweezer lyrics. Slave was played for the first time since October 24, 1991 (241 shows). ah, my first show. it might be the hardest review to write: the memories are dream-like and vague with no real emphasis or priority given to song particulars. i was thirteen! going to a concert was something i had never done before, so i didn't know what to expect. it was an eye-opener (not mind-opener, that would come later). i was pleasantly shocked that people were openly doing drugs, whether it was the one single tank up in some bushes in the middle of the parking lot or a quick puff of some herb on the "lawn" (thirty foot patch of grass in the back of the venue). i was sober, probably not by choice, but too caught up in the newness of everything to dare mess it up by getting caught doing something i shouldn't. 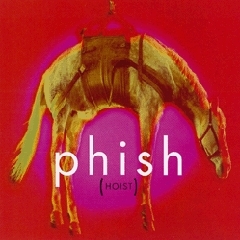 fifteen years later and i'm still smiling at the fact that 'split open and melt' was the first phish song i ever heard live. this one song more than any other (by any band for that matter) has done so much to open my ears and my heart. with that in mind, the more i look at the setlist the more songs i see that ended up being totems for me: tweezer, the divided sky, guelah! jah works in mysterious ways. i danced a little. my friends would not. it would mark the first time i could demarcate a line between those who dance as active participation and those who passively listen, and i think even at that young age i could understand the power of dance as language and movement. i bought a t-shirt, the classic white with rainbow logo. it had a '1993' underneath the logo, and it was comfy right away, no washing required. i would kill to have that shirt today. the zoo was one of the strangest places i ever saw phish. my strongest memory is of leaving during setbreak to walk amongst the animals, running back in to the pavillion as the opening strains of 'tweezer' unfolded like a giant fruit bat's wings. This show is well known for the fitting return of Slave to the Traffic Light, after a 233-show hiatus that began on 10/27/91. This was only my second show, and my first time traveling to another city to see Phish. I had never seen a show at the Cincinnati Zoo (or at any other zoo), so I wasn't sure what to expect. We pulled in to the Zoo's parking lot about thirty minutes before show time. Things were quiet and there was no lot scene, no vendors, and no drum circles; there was, however, a decent number of VW buses and cars with Dead stickers. There were a few bootleg T-shirts for sale after the show and I bought my first one: it said "Phishy Ale," and was laced with references to Gamehendge and Vermont. The ticket price included admission to the park, but we didn't hand over our tickets until we got to the venue located somewhere inside the park. The venue was more like a courtyard. There was a medium-sized section of pavement in front of the small, temporary stage. 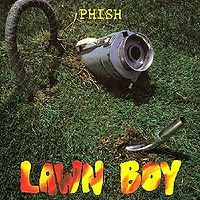 Beyond the pavement was a raised lawn. The standing-room-only crowd filled the pavement, and the lawn was scattered with dancers. I would be surprised if there were more than three thousand people at the show. The setlist reads like a classic novel, and this one is full of musical surprises. There is wonderful conceptual continuity between the jams of "Tweezer" and "YEM" in the second set. The transitions are exceptional. Inside of "YEM" is a great one-verse version of Eric Clapton's "Cocaine". The "YEM" vocal jam contains "Tweezer" lyrics, and ends with the opening lines of "Halley's Comet floating above the madness. Trey dedicated the unplugged encore of Amazing Grace to the animals. People were very quiet and showed respect. We got to talk to Page after the show and he told us the Tequila teases were in honor of Jimmy Buffett's nearby concert. This was a special show for me, and the one that got me on the bus. THE GOOD: This show is best known for the glorious return of Slave as well as the Cocaine jam in YEM. But there are some other nuggets in this one that are worth a listen. The SOAM to open is the first of the tour to really come together while the Curtain features an absolutely perfect transition into Sample. The band had clearly become comfortable openly playing hey-exercises on stage at this point, and the Tweezer in set 2 is a great example. Page shines in Coil as well as in Slave, both of which are wonderful and are worth repeated listens. THE BAD: Aside from the somewhat typical '93 first set which is incredibly short (59 minutes? ), this show is fairly solid. While the Tweezer is wild and hey-laden, it also mainly seems like an improvisational exercise rather than a nicely flowing jam, which some fans may not care for. ETC: Tequila teases are everywhere in this show (4 different songs!) but so are references to Hey exercises (Tweezer, Halley's). Try to figure out what Trey is saying during the breakdown in Tweezer - is it a garbled version of Hound Dog? Fish dedicates Rosie to Page's cousin, Jack (aka Tom Hanks) for his birthday. He also forgets the words quite humorously. There's a hilarious exchange when Trey dedicates Amazing Grace to the animals to go to sleep to, and an audience member yells out "Highway to Hell". This is a really solid show with a fun Tequila theme, but I think it's a notch below the heavy hitters from this hallowed month. A tight first set begins with a fiery Split Open and Melt and the rest of the set is executed well with Divided Sky and Suzy Greenberg being the other highlights. Set 2 opens with a quick Buried Alive and a short but terrific Tweezer. The next noteworthy part of the show is YEM>Cocaine>YEM->Halley's, with the YEM vocal jam segueing into Halley's. I believe this was only done one other time on 5/8/94. Slave makes a big splash in its return in the back end of the set. Good show, but there are a few others from this month you'll want to check out first, although you might as well just listen to them all. Average show from a legendary Month of Phish. Let's get this over with from the get-go. The playing throughout this show is phenomenal. Nothing feels too off. Sample has a fantastic solo by Trey and a most excellent Divided Sky. 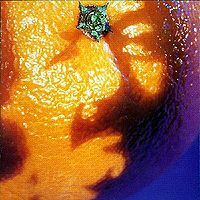 Tweezer is silly as hell and the jam is a nice thrashy Tweezer jam you get from this era. YEM -> Cocaine -> YEM is fantastic and well bonded together. This is also one of the only times I've heard a vocal jam perfectly -> into another song. The HYHU section is totally botched but who cares? The Amazing Grace encore is very underwhelming, I'm hoping they were just out of time and had to do it quick. Overall a decent show. It's only uphill from here! 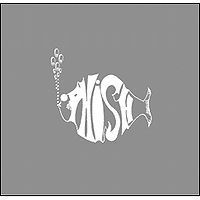 There's a number of "better" shows from this legendary month in Phish history. 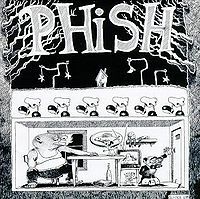 That said, this one one of my earliest experiences with the hallowed August '93 run and I had a crispy SBD of this show. Set I opens with Split Open and Melt - boom! There's better versions (in what may have been the best era ever for the song), but this one is pretty great even though it colors within the lines. Awesome start. Poor Heart is a nice jolt after a maniacal Melt. Definitely lots of energy already. The Curtain is great in it's 90's (early) heyday. Sample is pretty straight-up and an adequate singalong following the opening salvo. Horn is a cool down and fits the bill. Divided Sky is up next. They play this song very well today, but they also played it exceptionally well back then. This is one of the set's highlights for sure. Nellie Kane is a fun little diddy. Chalkdust Torture and Suzy Greenberg both blow the lid off the place. Plenty of scorched earth and Suzy featured the first Tequila tease of the night. Overall, this is a really nice flowing set. Great songs for the most part and lots of good energetic segments mixed with some compositions/slower/bluegrass tunes. Great playing all around, without having the adventurous jamming some other shows featured in set I.
Tweezer is next. It's not too long, but features a fiery early 90's jam that packs a major whallop! Throw in a tequila segment and you've got a mighty fine and mighty fun version. It's not a polished flowing jam like later eras, but is an awesome bit of improv nonetheless and showcases some of the approach they used (hey-hole type stuff). Guelah Papyrus is up next and is awesome and features a beautifully clean Tequila tease as well. 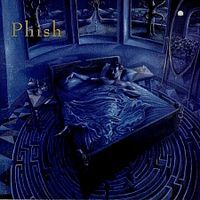 Coil pops up in a bit of an odd placement, but this is a fine version with some great Page playing even though you might be tempted to cry Phish out of water about the placement. UNcle Pen ratchets the show energy back up and is played crisply. The big YEM is next and is an absolutely phenomenal version. More tequila madness, but also an incredible jam on Clapton's 'Cocaine' which pops back into YEM. This is a great version and tons of fun. It was always a favorite for me. ->Halley's Comet, which was an awesome version and is played very well and slides perfectly into Slave through a little instrumental bridge. The Slave is glorious. It's under 10 minutes, but its incredible and builds to a furious peak. Absolutely stellar. HYHU > Craklin' Rosie > HYHU is the fishman segment, and it's a good laugh. Tweezer Reprise sends us home in style. They encore with Amazing Grace to help the animals in the zoo go to sleep (how considerate!). Overall set II is fantastic. Some good jamming and a lot of fun. You'll find better shows in August '93, but this show flows really well and has tons of exciting playing. The tequila tease theme is a really neat feature without being gimmicky. Tweezer YEM Halley's>Slave are all stunning! A very hot Melt opener sets the tone for this great show. The rest of the first set is pretty much average/slightly above average save for the killer Divided Sky. In set two the band starts cooking with gas. You'll want to take a shower after hearing the Tweezer, it's filthy. Incredibly intense version. Many themes are explored in rapid succession, leaving no chance to catch your breath. Tequila teases are all over the place during this set, especially peppering the Guelah that follows the Tweez. Great reading of that tune and the following Coil. Uncle Pen is average, but the YEM -> Cocaine -> YEM -> Halley's afterwards is special. A bit of a teasefest, but there's some real solid playing in there. The end of Halley's is unique and interesting. The famed Slave bustout comes next, and it's stunning. Exhilarating version of the song, it competes with 11/21/97 for the role of my favorite. The show rounds itself off nicely and there is some nice banter preceding the encore, but if nothing else, check out the songs mentioned above. You won't regret it. 4 star show. This is a "Greatest Hits" show in the sense that there are tons of stellar straight-forward renditions of lots of classic repertoire and nary a memorable jam in sight. Don't get me wrong, the playing is super duper tight, and all the improvising is fine and all, but we don't have any 8.13 Gins, or 8.16 Rebas, or 8.20 Antelopes here. This YEM -> Cocaine -> YEM might look memorable on paper, but it isn't particularly great. I actually like the jam prior to Cocaine better. There *is* some great band interplay around Trey as he repeats the hook from the Living Colour song "Cult of Personality" (to keep my pride intact, I'll let you know I only know that thanks to Guitar Hero). I'm not sure if Trey is quoting that song intentionally, though, but it is indeed the same lick. The only thing I'd say I didn't like about this show was the whole Tequila kick they couldn't seem to get out of. It was fine at first, but got a little obnoxious after the fifth or sixth appearance. Other than that minuscule critique, we've got ourselves a show with a bunch of letter perfect readings of all these great songs. I'll definitely re-listen to this show as a whole, but there's just not much in the way of individual highlights.